Tulips bloom - When is the best time to visit Keukenhof Garden, Holland? 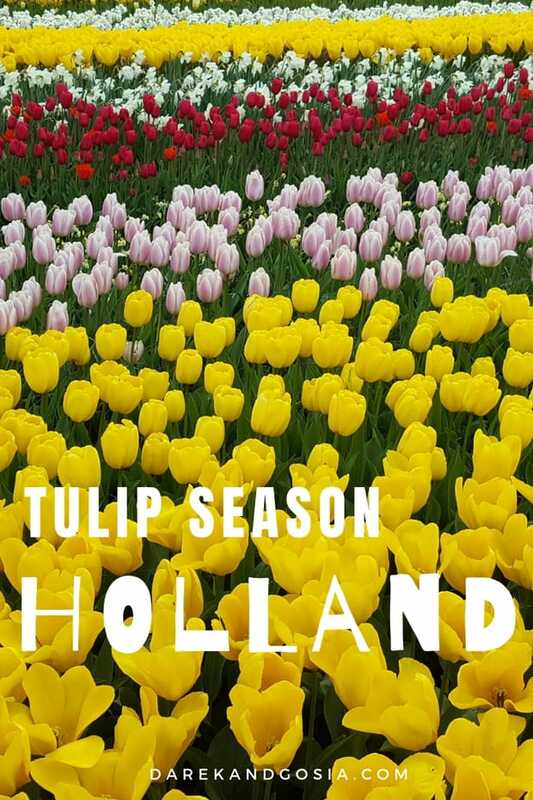 Home » Tulips bloom – When is the best time to visit Keukenhof gardens? 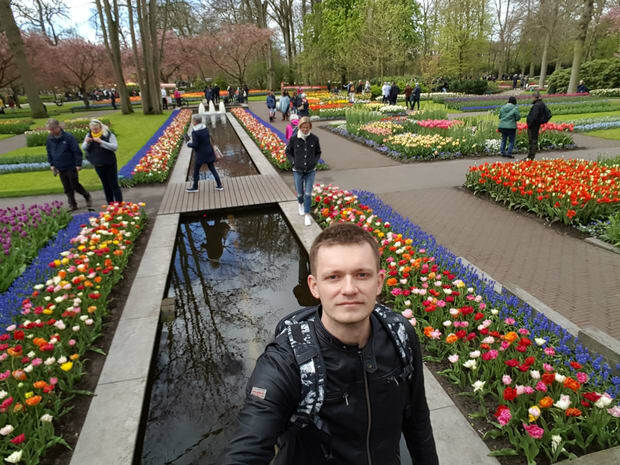 Known as the Garden of Europe – Keukenhof, situated in Lisse (southwest of Amsterdam), is one of the most photographed flower gardens in the whole world. Each year over 1 million people visit the Keukenhof gardens during the eight weeks opening time. That’s a lot of flower-lovers! 🙂 Many of them are international tourists, who combine the visit with a trip to Amsterdam. Some people say that Keukenhof is the most beautiful spring garden in the world. 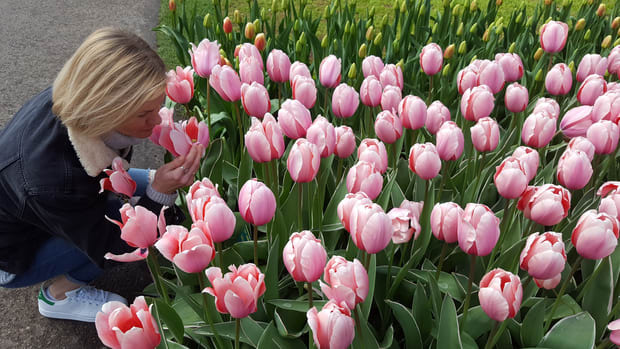 It’s a mecca for tulip bloom enthusiasts! 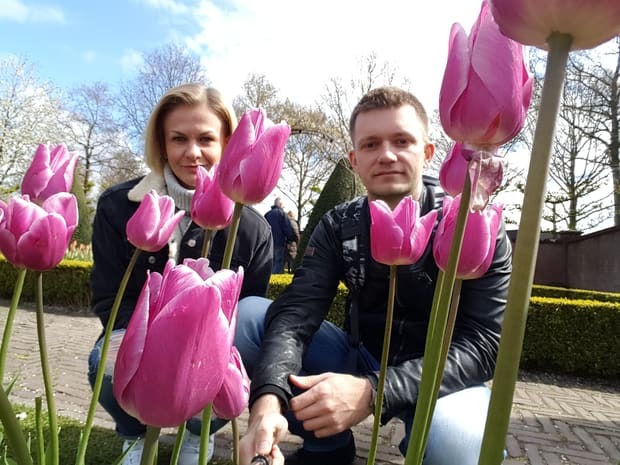 If you are like Gosia, seeing tulips bloom in Keukenhof should be a must-have on your list! 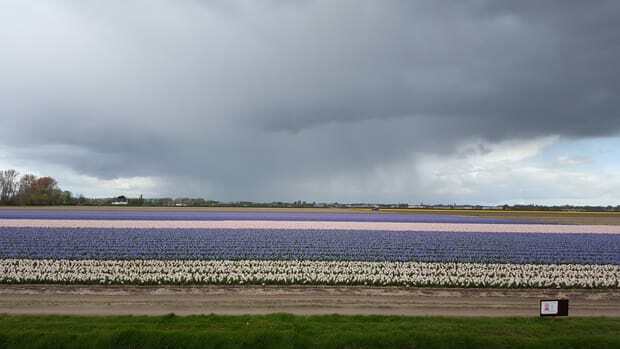 What is the best time of year to see the tulips in Holland? Tulips bloom when temperatures during the day start to exceed 15° C. But not all species bloom at the same time, so precise dates can’t be really given. The best time to visit Keukenhof and see millions of Tulips in bloom is the second half of April. 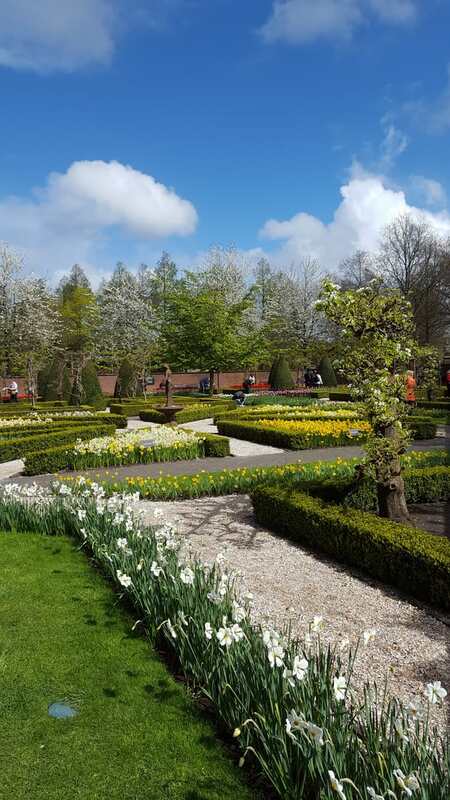 How to get to Keukenhof from Amsterdam? The town of Lisse is the tulip centre of the Netherlands. In the local museum “De Zwarte Tulp” you will learn everything about the Dutch cultivation of tulips. 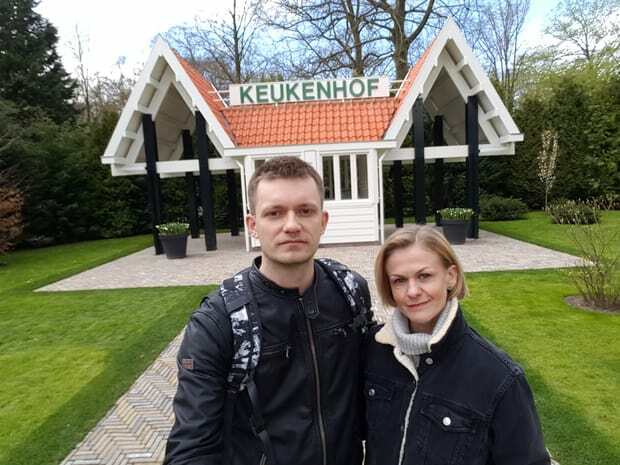 But is Keukenhof far from Amsterdam? 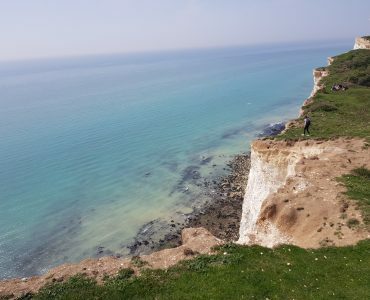 Not really – it takes just under 40 min by car from Amsterdam. (There are many car hire companies at the airport). There are also many buses from the city and also directly from the airport. 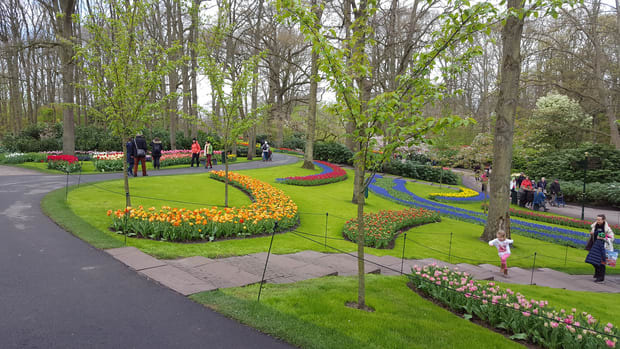 Every year, Keukenhof opens its doors for eight weeks, during which you can enjoy discovering various varieties of tulips, daffodils, hyacinths planted on 32 hectares of land. 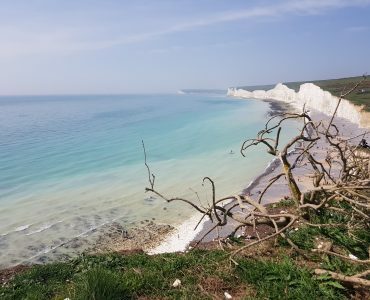 There are even reports published on the internet about flower flowering – so you can plan the visit as best as possible. 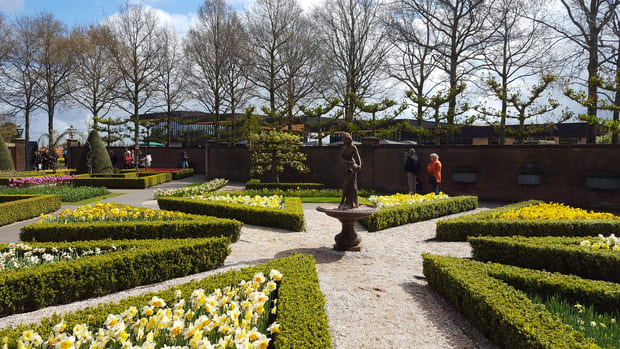 Is it worth to visit Keukenhof tulip garden? If you are planning to travel to Holland – and seeing tulips bloom is on your bucket list – make sure you visit the Netherlands in April. 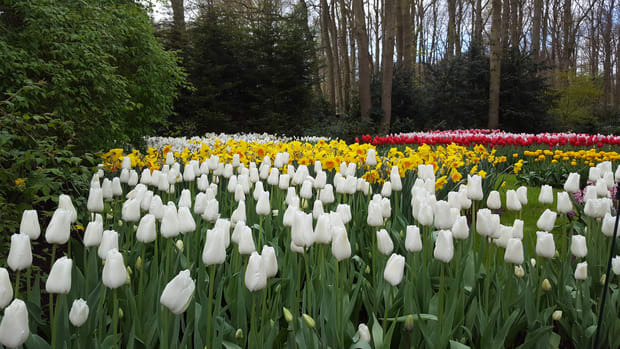 Keukenhof is the best place to see tulips in Holland. You will discover endless, colorful fields filled with gorgeous tulips everywhere – you will love it! 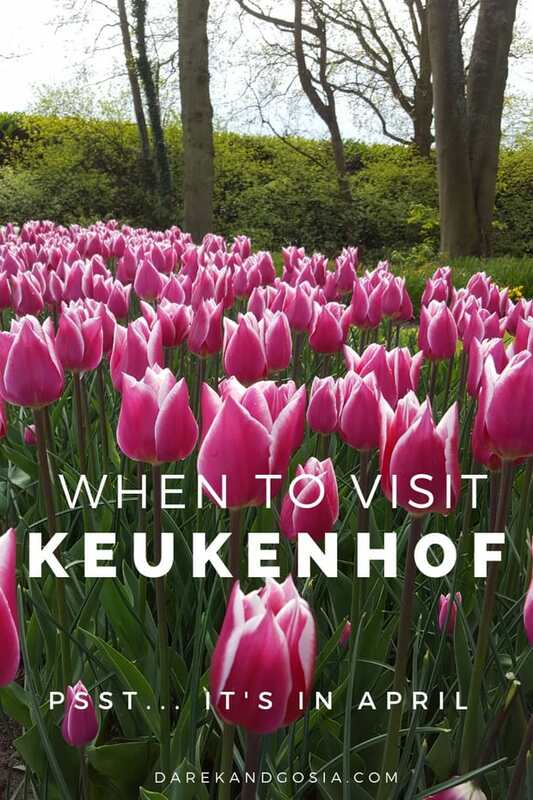 So, ready to book your trip to Keukenhof gardens in April? 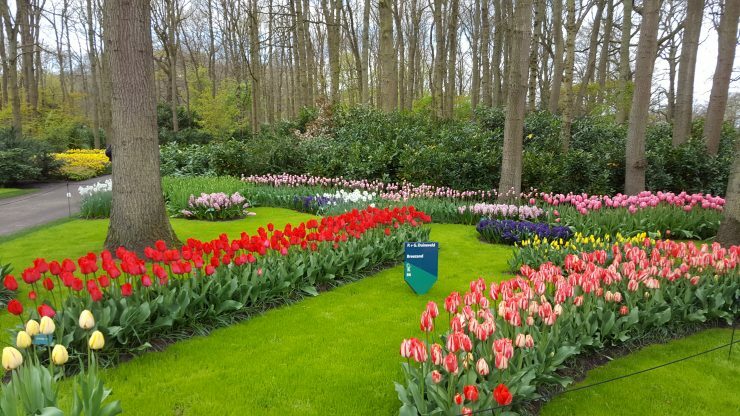 Keukenhof Gardens is one of the most romantic destinations in Europe so make sure you go for a day trip while visiting Amsterdam!